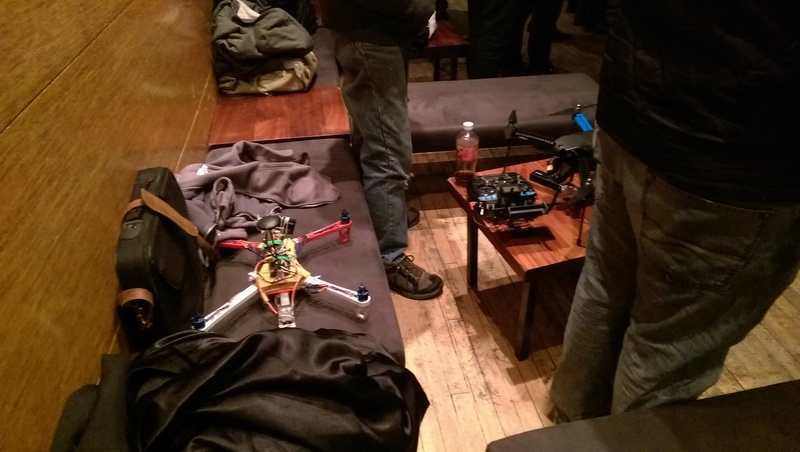 On Monday night in Boston, MA, 3D Hubs hosted a meet up to bring members of the local 3D printing and drone communities together. The Middlesex Lounge provided a perfect atmosphere for an event that was a great balance of informative talks and a fun social hangout. 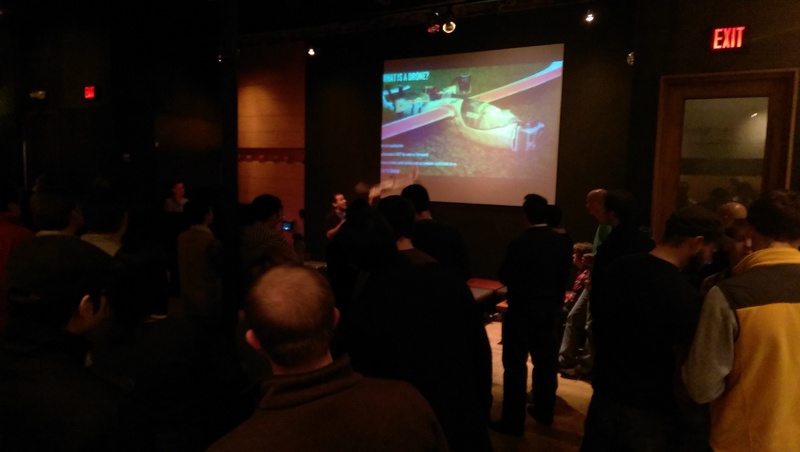 Boston is a leading city in the world of 3D printing, and the packed room definitely showed it. Nikki Finnemore, the newly hired 3D Hubs community manager for the United States, came up from New York to attend the event, and was joined by key figures from Formlabs, Markforged, and Onshape. Jordan Pelovitz gave a fantastic presentation on getting started with drones in a safe and responsible manner. Jordan is a licensed small aircraft pilot and believes that personal drone pilots should treat their miniature craft with the same level of respect and caution as a pilot would with a real aircraft. A copy of Jordan’s presentation can be downloaded here. 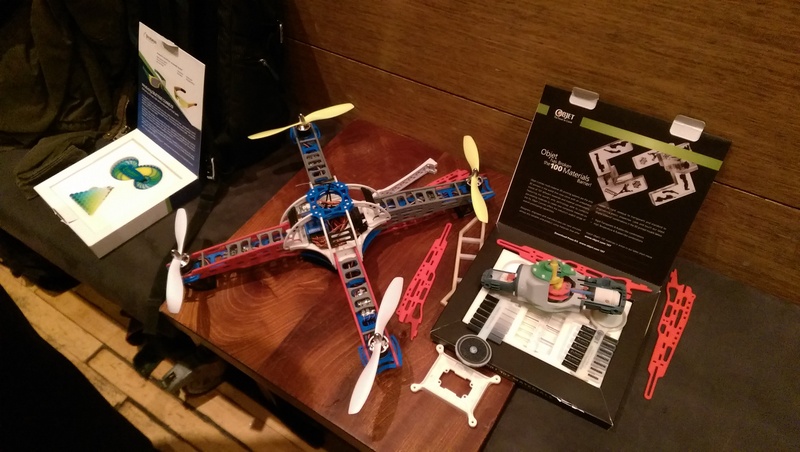 Philip Thomas, from Onshape, designed a custom 3D printed drone for the event. In the process, he learned a lot about design for 3D printing and presented the pitfalls of designing a complicated machine like a quadcopter. Paulina Perepelkin, the Boston 3D Hubs mayor, informed me that she tries to organize a meet up for local 3D Hubs members quarterly. While the next one won’t be drone themed, I look forward to seeing what other topics are chosen.